Now save and close notepad and restart Afterburner, it will ask you to reboot! A pop up message will show up to choose which GPU you want to flash. If you have single GPU it does it automatically. FtW420 shared some info somerewhere that I could not remmeber where but I read it. How to read the memory manufactory without removing the cooling system. Here is a quick guide for a cold boot black screen it is valid for any circumstances when flash any GPU. Do not plug back the two power cable to GPU. Open nvflash and flash back to working bios or vBios and have fun. I do like to disconnect from internet ( disable the network card or wireless till you get it done ) when I use his guide to remove the Nvidia drivers. If you are connected to the internet Windows 8 ( my OS, dunno about Windows 7 ) keep installing Nvidia drivers after you removed it. Driver sweeper has been known to remove important chipset files which will result in errors such as instability. Some users have reported that the sweeper software removes “False positives” and may cause the user issues when trying to install software such as drivers. The error usually reports that an .ini file is damaged. Over long term use of driver sweeper, it could cause several underlying issues which will do more harm than good. This guide is an alternative, which removes all the files and registry entries that need to be removed for a successful uninstall. This is useful for upgrading/downgrading drivers or switching to another brand of card. The next part of the guide will remove all Nvidia files and folders from the computer. 11. Check the “Local”, “LocalLow” and “Roaming” folders for any Nvidia folders and remove them. 14. Check the “Local” and “Roaming” folders for any Nvidia folders and remove them. The next part of the guide will remove registry entries left by the Nvidia drivers. 16. Click start, then type “regedit”. Q. What is Frame Rate Target and what does it do? A. Frame Rate Target limits your framerate to the specified setting. On 600 series cards, the frame rate limiter will also allow the card to limit the amount of power utilized to match the specified framerate. Note: you must restart the application for the setting to apply. Q. Can I type in values? A. Yes, this can be done by simply clicking on the numerical value that you wish to change. After clicking you can type in a value. Q. I set an overclock too high and my screen is distorted! How can I revert it? A. You may try to press + to immediately reset clock frequencies to defaults. If you applied unsafe clock frequencies at Windows startup and your screen is distorted when Windows starts you may hold after logging in Windows to prevent these clocks from being applied. Q. How can I set a custom fan curve? A. Click the Fan Curve button, then select “Enable software automatic fan control”. After this you can setup a custom fan curve. Q. When I adjust voltage on my 600 series card, the value doesn’t stick! What do I do? A. The 600 series cards are very dynamic, and adjust voltage in real time to match the operating frequency. On a 600 series card, the voltage slider specifies a "maximum" voltage. Note: On a 600 series card, setting a custom voltage level does not always allow for higher overclocks, in fact it may even decrease clocks by increasing heat and power draw. It is not recommended to change voltage on 600 series cards. Q. What is Power Target and how does it affect my card? A. Power Target is a power limiter. Increasing the Power Target will increase the available power to your graphics card, allowing for higher overclocks, or higher boost clocks. NOTE: Increasing this value may increase your GPU temperature. This feature is only available on 600 series graphics cards. Q. What is a Clock Offset? A. Clock offsets are the new way to overclock for 600 series graphics cards. You overclock by setting an offset value, this value is + or – every prequalified clockspeed. EG: If your boost clock is 1058MHz, setting a +100MHz offset will make your boost clock 1158MHz. Note: This setting only applies to 600 series graphics cards. Q. How do I enable the On-Screen Display (OSD)? A. Click the Monitoring button, select the feature you wish to see on screen, and select "Show in On-Screen Display"
Q. Why is my GPU Clock is jumping all around on my 600 series card? A. This new architecture dynamically changes the GPU Clock depending on the temperature, application and power draw. You may see this lower or higher speeds depending on the application. Q. I enabled the OSD, but I do not see it in my games! What's wrong? A. Firstly, the OSD is not compatible with 100% of applications, in particular those that are natively 64bit. (eg. 3DMark11) If your application is not a native 64bit app, and the OSD is still not applying, try changing the On-Screen Display rendering mode from Vector 3D to Vector 2D. You can do this from the Statics Server icon in your system tray. Q. My Test button is grayed out. A. This is meant to be used when EVGA OC Scanner is also installed. Selecting the test button will automatically load a 3D stress test. Q. 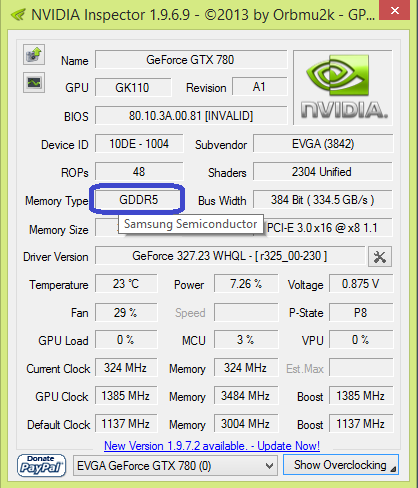 Does EVGA Precision X need to be running in the background to set clockspeeds and settings? A. No, EVGA Precision does not need to be running, just make sure to select the Apply button before exiting. Q. I see Power (Optional), GPU Clock and Memory Clock in the monitoring window, how can I view more? A. Simply double click this area to show all vitals. Q. How do I change what graphs are shown at the bottom of Precision X? A. Click on monitoring. The top 3 graphs listed will be shown at the bottom of the application. 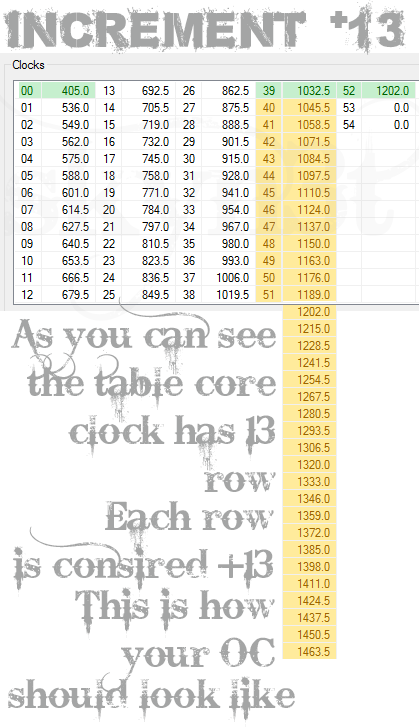 Drag and drop items from the list to arrange which graphs are shown. Thank videocardz for recognizing my effort and shinned the truth to our community. PS: I hate making videos but here is a quick guide with every step how you prepare the 314.22 drivers with moded inf file. It does support Titan GPU, so it means I does have all necessaries files to enable the GTX 780 even more with 4way SLI. Newer drivers above 320.00 this nv_disp won't work. the 4way sli is locked in software by Nvidia. 2 - Download the Nvidia 314.22 nv_disp.inf moded. 3 - Check "C:\" drive If you have "Nvidia" folder there. If yes delete it first. 4 - Click the Nvidia setup file "314.22-desktop-win8-win7-winvista-64bit-english-whql.exe" you just dowbloaded from Nvidia site and let it extract to C:\Nvidia. The setup will fail because the 314.22 drivers only have support to Titan GPU. 5 - Go to "C:\" and open "Nvidia" folder. In the search box top left corner type "nv_disp" without quote. Right click on "nv_disp" and choose "Open file location" and replace it "you can drag and drop and override the original file with "nv_disp" moded you just downloaded. with "Disable Driver signature enforcement"
How to Create Forum Signature & Show Your RiG Info How to Create Forum Signature & Show Your RiG Info. Since people find it too hard to create I decide to make this short guide to help everyone in the community to get the sig rig showing. Because if you get into hardware issue we all know what hardware you are using. it does make it easy to help and faster. sometimes the answer will be much faster than you think. Instead ask what hardware you have. Everything is marked to make thing easy just follow the pictures and you get this done in less than 5 minutes and save us 1 hour just asking what hardware you are using. 1 Top header click on "My Profile"
2 Scroll all the way down and look for it "CREATE RIG"
rig you want to create. ex: "Gaming Rig"
boxes you bought it and write it down there. 5 Product Match it will show what harware you have sometimes it won't OCN data base need more update don't worry. 6 Now it show the product "MATCH" , give a quick look at it, if anything is wrong click "CHANGE" after done. 9 Finally you got just created you RiG but you are not done yet. 10 Go back to "My Profile" top header scroll all thw ay down. 11 Edit Forum Signature, click "Show of your stuff" from drop down menu and select "MY RIG"
12 Preview Forum Signature, Now you just about to finish it. "MY RIG" will show, click "SAVE"
14 Your Forum Signature is done.Now it will be visible to everyone. Asic Form created and managed by wholeeo. If your sig is in "plain text"
If your sig is in "rich text"